Picture this: You’re strolling around Carlsbad when, suddenly, you see a group of teenagers running towards another group of teens, spraying them with water guns. It’s a whole commotion. All the teenagers are screaming and laughing. Everyone around is wondering what just happened. There’s only one thing this can be. Senior assassins has been a tradition at Sage Creek since the class of 2017 started it. It’s a competition in which the senior class competes in a live action game to eliminate each other until the last pair is standing. When the game begins, you and your teammate are assigned two targets. When someone eliminates their targets, they acquire their targets’ targets, and so on and so forth. You pay $10 to enter the game; if you win the game, you win all the money everybody entered to pay, around $2,000. Senior assassins is not only a tradition for us Bobcats though, but it’s also a game played by seniors nationwide. It’s more than a game though, it’s an important part of the senior year experience; it brings a sense of unity among seniors which is important in our last year of high school. No other senior activity brings the class together like senior assassins. The game not only bonds the class, but it is also enjoyable for students participating. The assigned targets and motive to stay in keeps seniors involved and focused on their senior class. Sage Creek senior assassins is run by students. Senior Donovan Yates plays a crucial role as an organizer, along with two other operators of the game. He helps run the game’s social media accounts and collects the bids for the pool which will be awarded to the winners at the end of the game. “I think it is important because you get to meet all the seniors if you haven’t already … and have fun one last time,” Yates says. Being able to meet more students in your class that you’ve never met before definitely is a way that seniors are able to bond with one another before they all go their separate ways at the end of the school year. On Sept. 12, the class of 2019 gathered for a Senior Assassins meeting. Rules and regulations of the game were explained, targets were sent out to partners and the start of the game was official. Among the rules that drive the game, there are other rules that keep the game exciting. 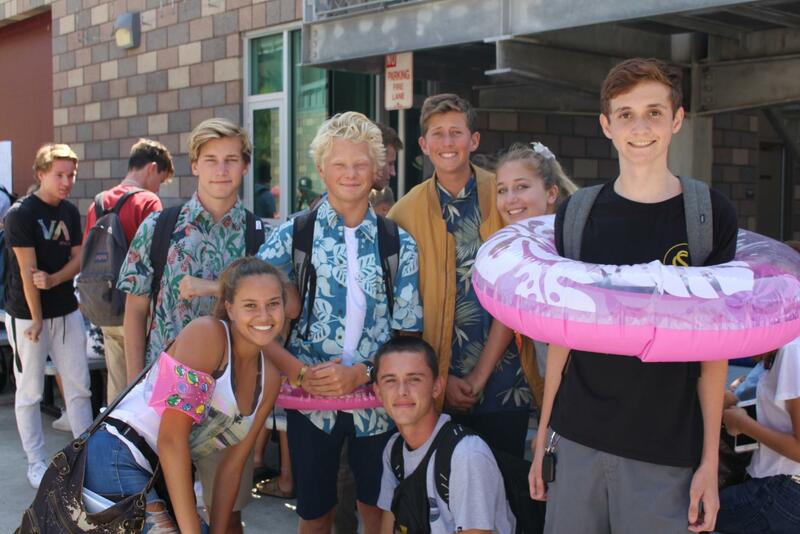 To start, let me give the context of the floaties you may have seen seniors wearing around campus. If you are out in public not wearing your floaty and your assassin gets you, you are out, but if you are wearing your floaty you are safe. Except on purge days. On a purge day, if you’re wearing your floaty or not and you get attacked, you’re out. Purge days keep the thrill of the game alive because the days they will occur are unknown to players. There are also other funny rules in the game such as safe zones. A safe zone is a place beside the Sage Creek campus or school events where you don’t need to wear your floaty and you’re still safe if you get hit. Costco is Sage Creek’s safe zone which may seem funny at first, but it is a smart move considering lots of students go to Costco to eat in the food court. “I’m most looking forward to the end, I want to be able to see who can win this thing, we’ve added some different rules since last year and I’m hoping for a big win at the end,” Yates says. Other seniors, myself included, are definitely looking forward to seeing who the winner of 2018-2019 Sage Creek senior assassins will be. The game started on Sept. 12, 2018. As of Oct. 8, there are 179 players alive, and 37 out. Overall, senior assassins is the most important tradition for Sage Creek seniors. It offers many opportunities to meet new people and bond with your senior class one last time in a fun competition. Seniors value this tradition, as it is special to have fun with the class you grew up with before everybody goes their separate ways once all four years of high school are finished. 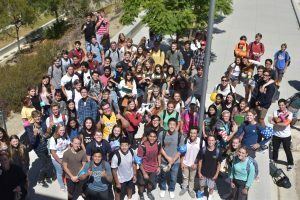 Sage Creek students should always try their best to keep this crucial tradition going since it holds a special place in many seniors hearts and is a key component to a fun senior year.